Nearly 20,000 children in West Nile will benefit from improved water, sanitation and hygiene (WASH) services, thanks to a grant from the Government of Iceland. The funding is targeting four health centers and seven schools with limited WASH facilities but provide services to numerous patients and learners, including both South Sudanese refugees and host communities. Communities surrounding the targeted health centers and schools will also benefit from the services. “We are, therefore, happy to learn that our support will contribute to the reduction of child mortality and morbidity and prevent WASH-related diseases in West Nile region,” added Ambassador Ramette. A WASH conditions assessment conducted in 99 health centres in West Nile revealed that 85 per cent of the health centres had limited water supply due to lack of reliable water sources within their premises. The health centres sampled rely mainly on rain water harvesting during the rainy season. However, many of the rain water harvesting structures are non-functional. The situation in schools is not any different, given that only a few schools meet the recommended pupil stance ratio of 40:1. Majority of the schools in West Nile are far above the national average pupil stance ratio of 70:1. • Sanitation and hygiene promotion in areas around the schools and health centre. “UNICEF aims to increase access to sanitation and ensure sustainable WASH services in underserved areas including provision of WASH facilities in schools and health centres. 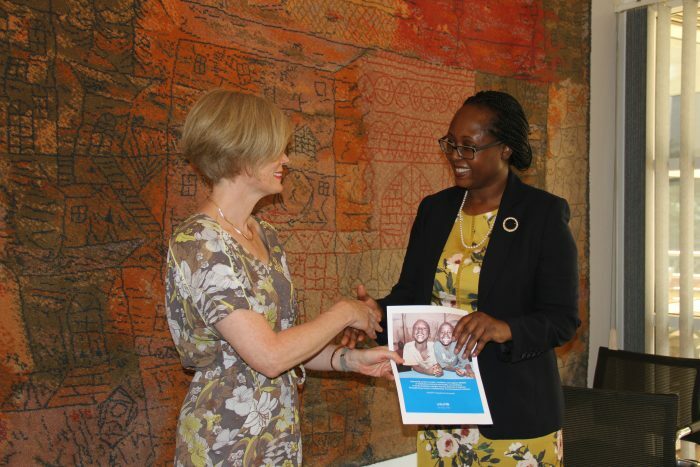 Investments in WASH service provision for schools and health centres will create a favourable atmosphere for learning and a better healthcare environment for women and children,” said UNICEF’s Representative in Uganda, Dr. Doreen Mulenga. Iceland has focused on the development needs of Uganda since year 2000 and contributed specifically to WASH initiatives, sanitation and education. Humanitarian assistance as well as the implementation of selected SDG goals; the protection of the environment, the promotion of human rights, gender equality, peace and security and fight against social injustice, disparity in living conditions, hunger and poverty all constitute the fundaments of the Icelandic International Development Cooperation.